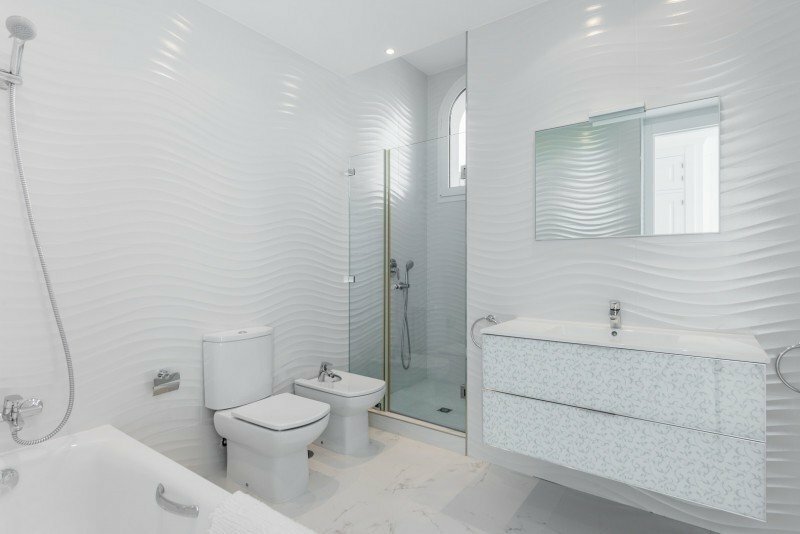 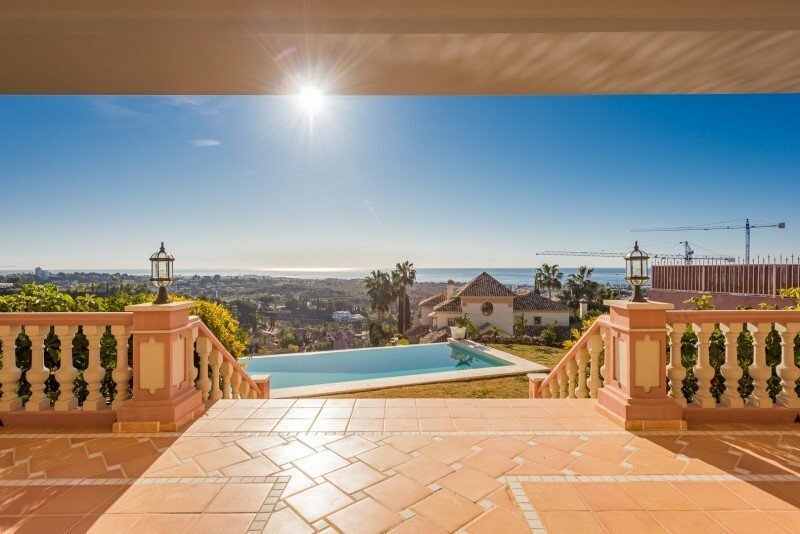 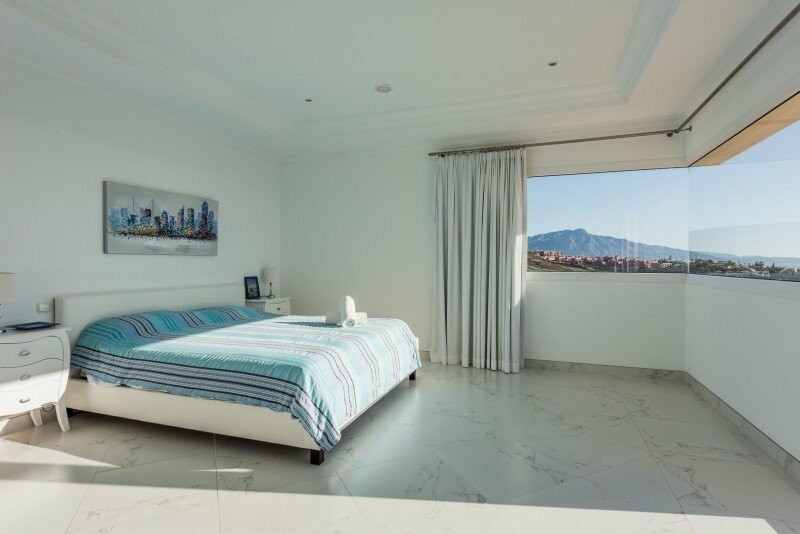 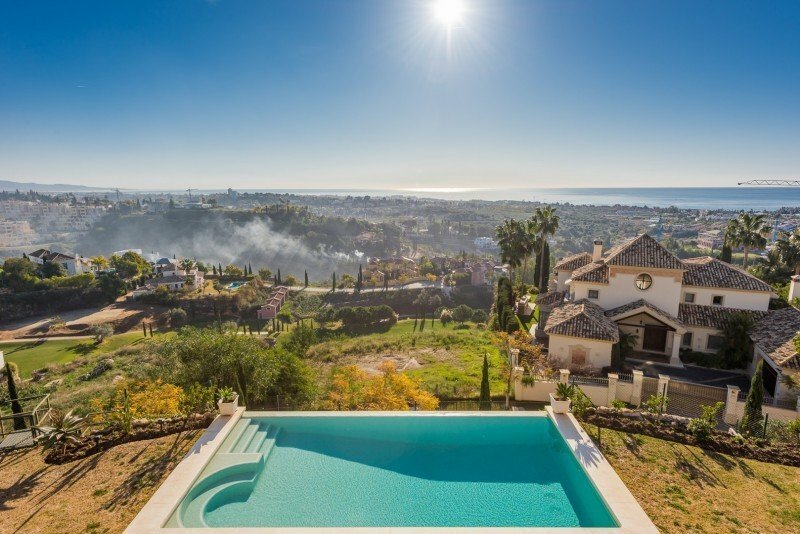 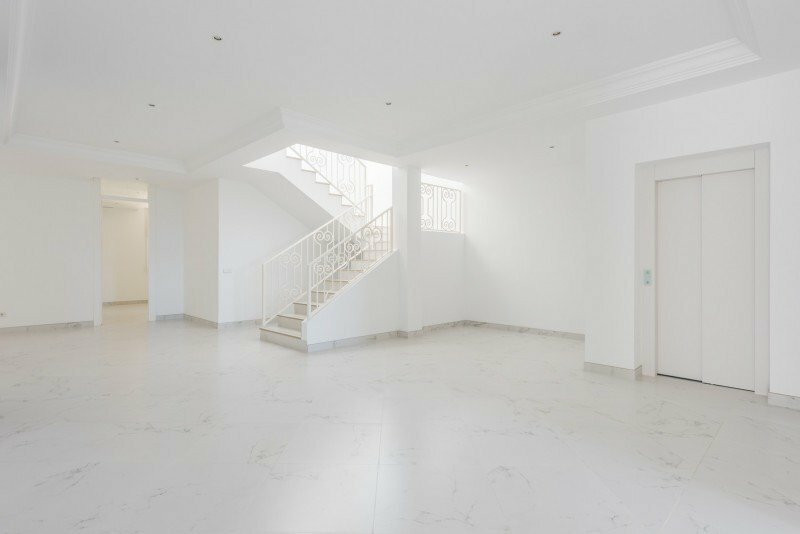 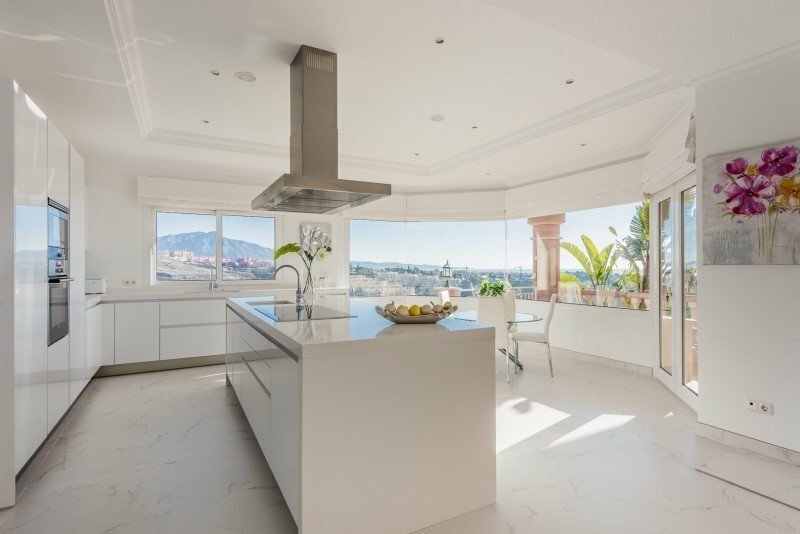 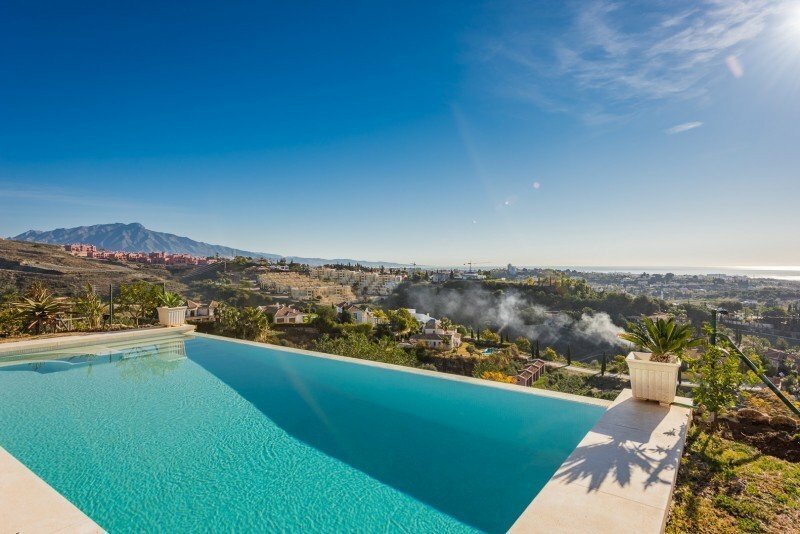 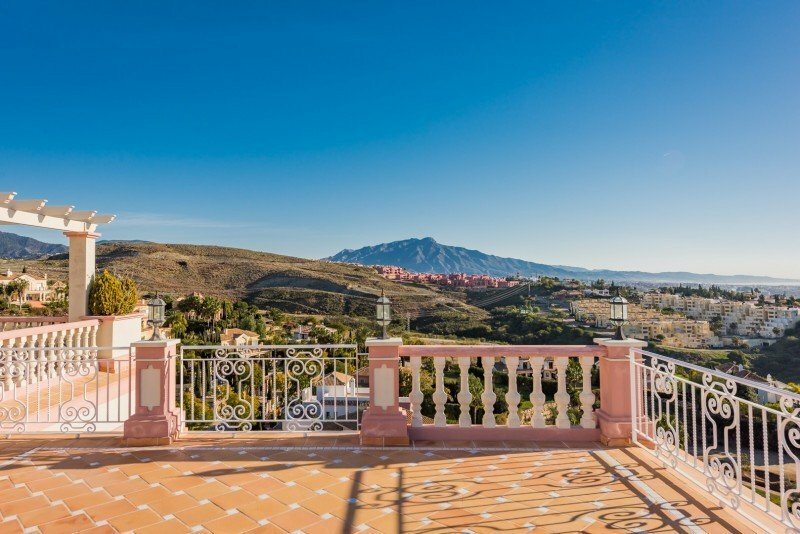 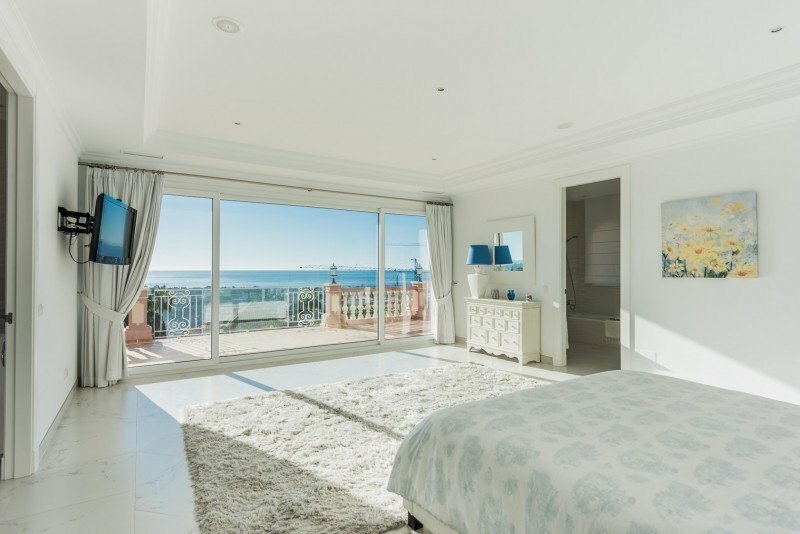 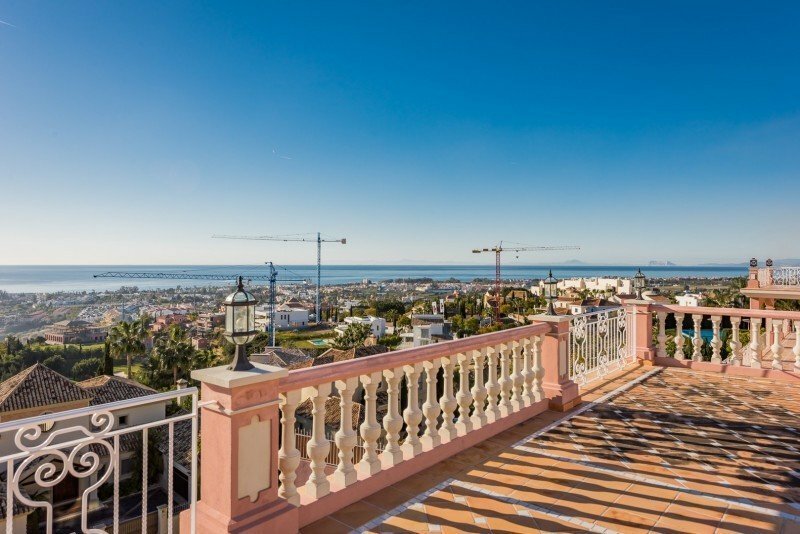 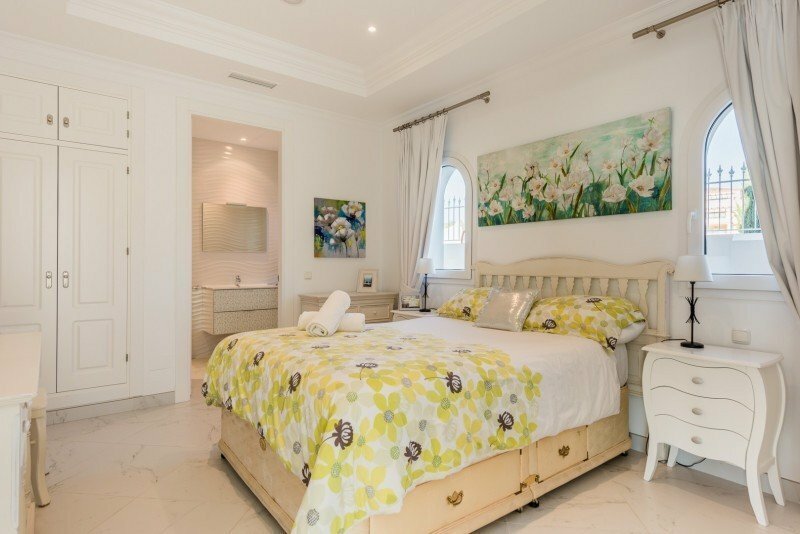 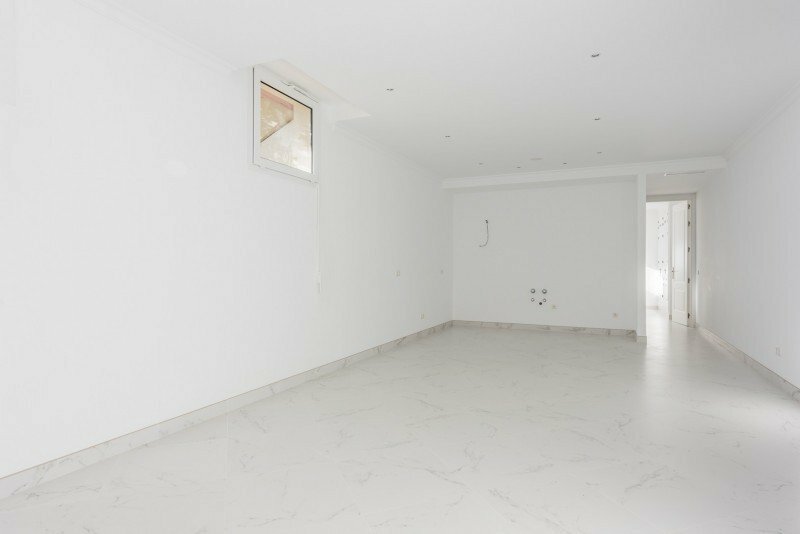 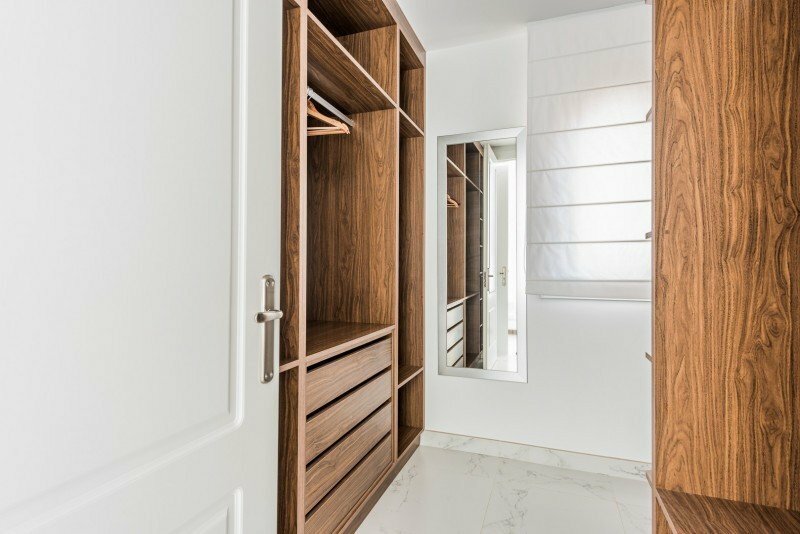 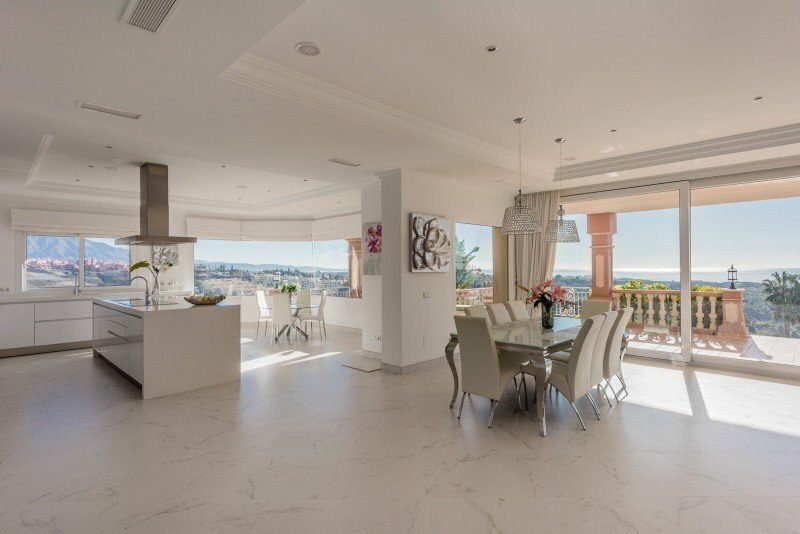 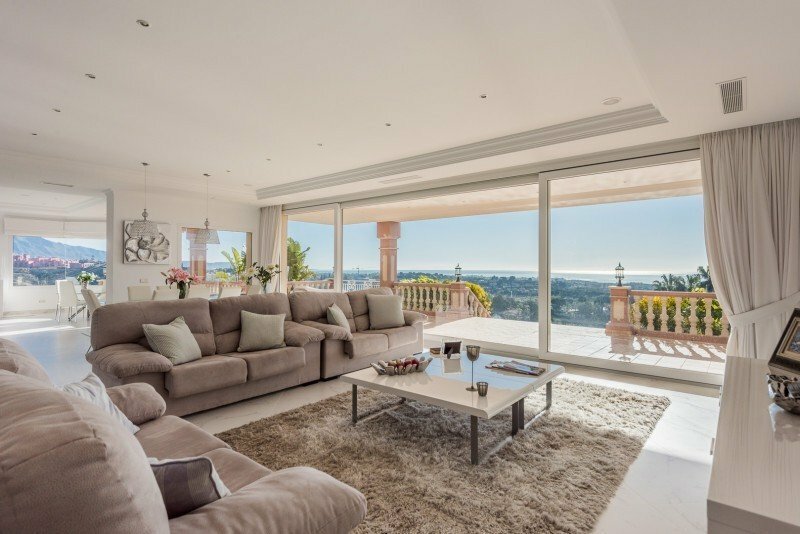 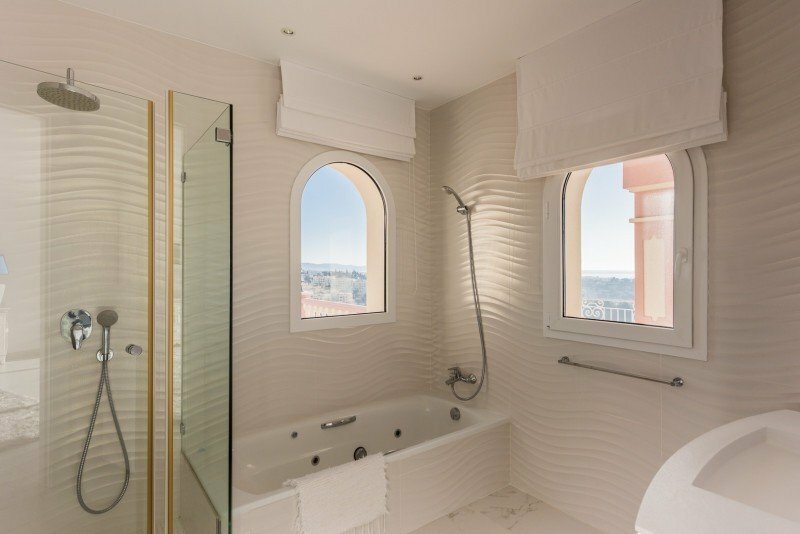 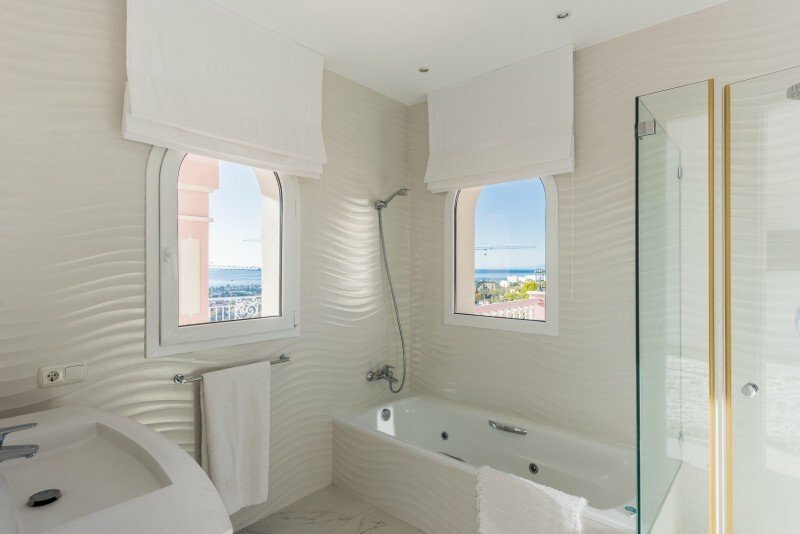 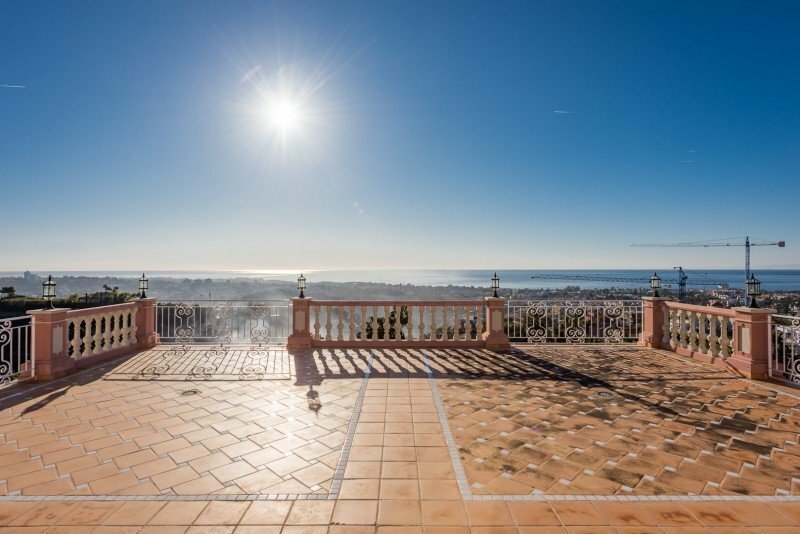 Villa for sale in Los Flamingos Golf, Benahavis, with 9 bedrooms, 8 bathrooms, the property was built in 2007 and has a swimming pool (Private), a garage (Private) and a garden (Private). 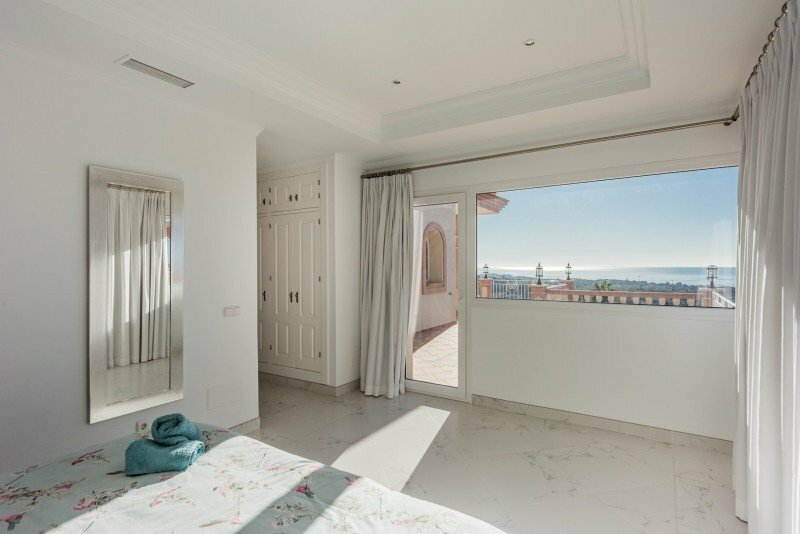 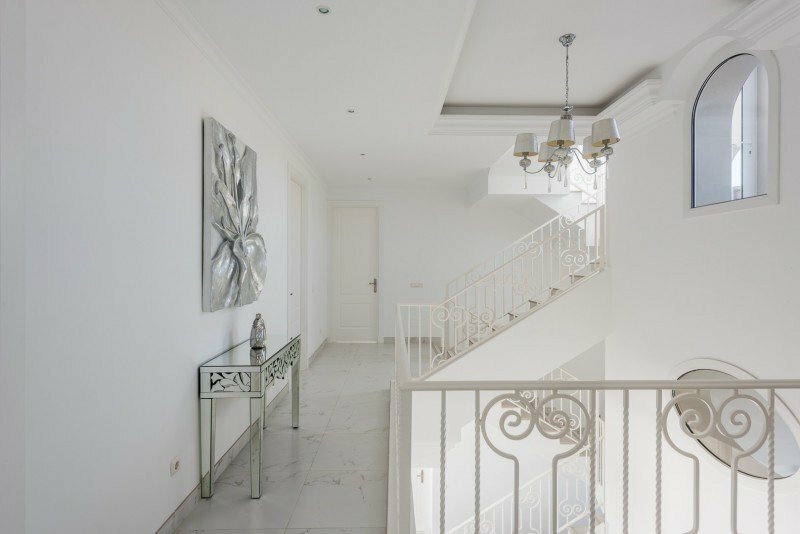 Regarding property dimensions, it has 620 m² built, 1484 m² plot, 100 m² terrace. 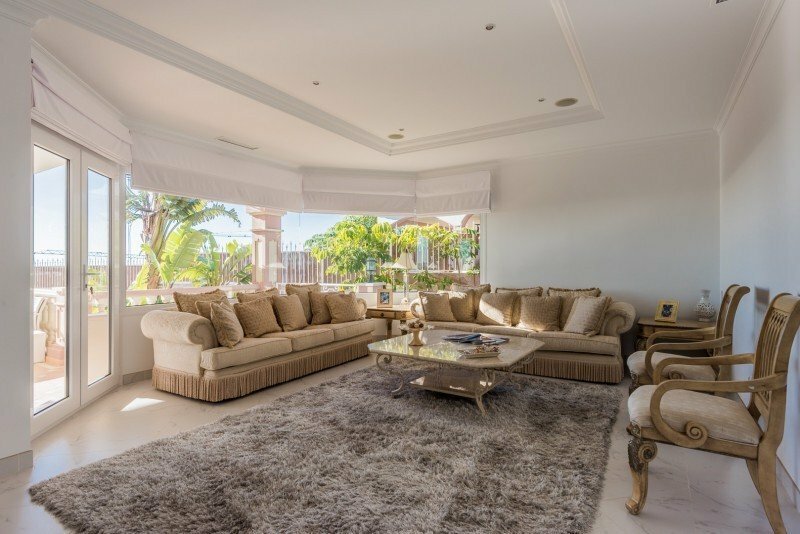 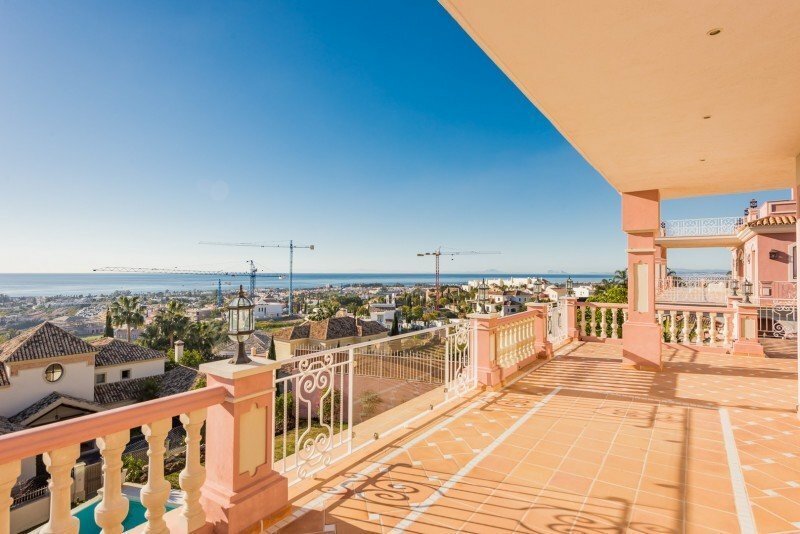 This property, with orientation S, has the following facilities: Office room, Close to Sea/Beach, Fully fitted kitchen, Jacuzzi, Satellite TV, Solar panels, Guest room, Gym, Alarm, Double glazing, Video entrance, Dining room, Telephone, Guest toilet, Kitchen equipped, Living room, Study room, Water tank, Automatic irrigation system, Home automation system, Dolby Stereo Surround system, Laundry room, Lift, Cinema room, Doorman, Close to Golf, Glass Doors, Optional furniture, Recently Renovated/Refurbished, Close to shops, Close to town, Close to port, Game Room, Surveillance cameras, Security entrance, Security service 24h, Sea view, Mountain view, Golf view, Transport near, Fitted wardrobes, Air conditioning, Pool view, Panoramic view, Excellent condition, Utility room, Basement, Storage room, Private terrace, Internet - Wifi, Covered terrace, Gated community, Garden view, Reduced mobility access, Inside Golf Resort, Pets allowed, Amenities near and Uncovered terrace.